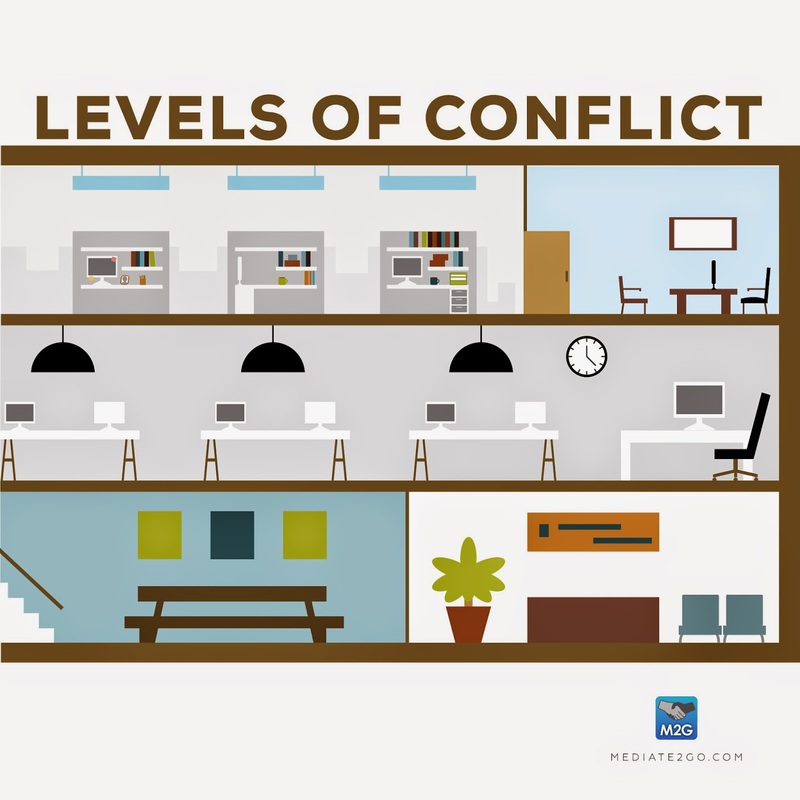 Essential advice on how to manage and reduce harmful conflict at home and at work. Here is what we think about self-leadership in conflict. 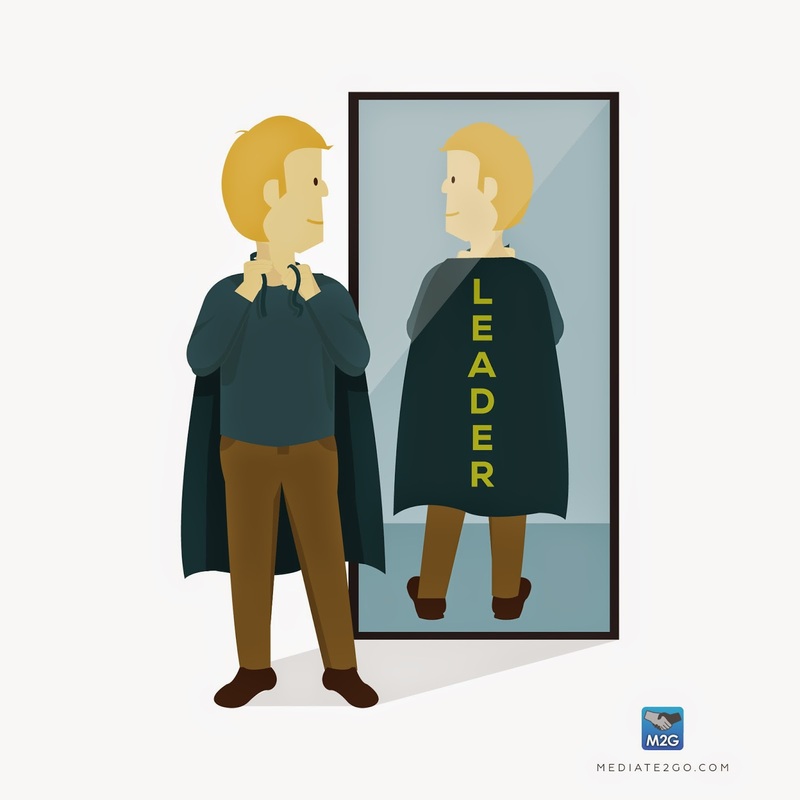 Also known as taking self-responsibility in conflict, self-leadership is about taking leadership across situations to manage your own reaction to issues and conflict, and also help others manage their issues. While it might not be considered a style on its own, it might have a significant impact on your situation. 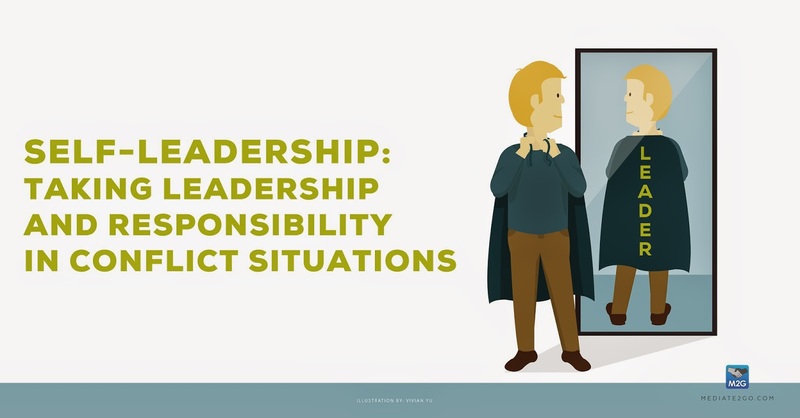 As mediators and conflict coaches, we recommend learning about self-leadership because we believe everyone is responsible for their own behaviour in situations. We always have a choice in how we react, and this can have a major impact on the dynamics and relationships around us. We should take responsibility to make a situation better. We use the acronym LEADER. We all have limits, which are "lines in the sand" that shouldn't be passed by those around us. Sometimes they differ based on the relationship. What we share with our intimate partner should not always be shared with family, friends and colleagues. Boundaries are based on what we and others are comfortable with. If someone is not comfortable with certain things, then we must respect their boundaries as we expect the same in return. If you feel uncomfortable about something, it is likely that someone has not respected one of your limits. They might not be aware or your limits, so it is your responsibility to state your boundaries in the situation. This is an essential part of self responsibility in conflict. To better know our limits, which require boundaries, we should be aware of triggers. Read our blog on Boundaries. Have you found yourself react strongly to particular statements made by friends or family. Maybe you become defensive about particular subjects, or "shut down" around others in particular situations. This means that something has triggered something within you. No, the other person is not responsible for your reaction (see below). rather, something from the last is likely leading you to react in such a strong way. We all have a history. How did we handle conflict and confrontation in the past? How did we react to the anger and emotions of others? What do we associate with the present triggering behaviour, whether it be from childhood or something more recent. 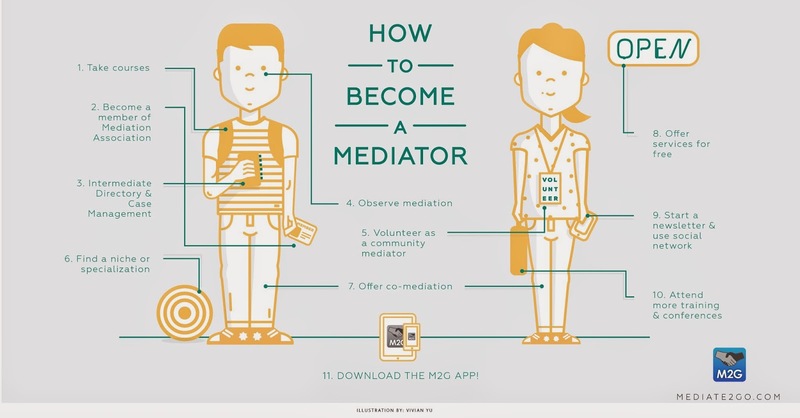 Although mediators are not to help clients analyze this, we must take responsibility for the triggers that seem to push us to react in strong ways. If we work on understanding these, it might be easier to react in a calm manner, proportional to the situation. How often do we assume that someone else intended to do something negatively, and then subsequently find out they had no negative intention whatsoever. Psychologically it's easier for us to assume others had a negative intention, while we, in the same situation, would have had a positive intention- see fundamental attribution error. Checking out the perception of others around us requires constant effort, but can go a long way in helping you prevent and manage conflict. Ask the person, when you said this, what did you mean by it? Or, when this was said, this was my perception. How did you perceive the situation? You will likely feel a sense of relief most of the time, and a sense of resolution, that the person didn't have a negative intention. You might feel a sense of relief to "vent" to someone about the behaviour of someone else. It might even feel right to you. Maybe you want to feel more emotionally in control before you actually have a discussion with them. While this could be helpful, why don't you have a direct discussion with the person who did something that you felt uncomfortable about? Talking to others might reinforce your negative assumptions about someone else, and make the discussion even more challenging when you finally decide to have it. Or worse, you might, as a result, decide not to talk to the person, and let the relationship continue to deteriorate. Many times, it's with it to at least try to have a direct discussion with the person, especially when you are likely to have interactions in the future. Here are some tips to structure your constructive confrontation. We are responsible for our reactions and our feelings. It might seem hard to believe, but others do not control our feelings. We are responsible for how we think, which then impacts and leads to how we feel. While it's understand to feel impacted by the behaviour of someone else, the way we react is what we do have control over. Will you "stoop to their level" or "take the high road", meaning, will you react in a way that you respect and expect from others, or will you simply retaliate and act with a sense of revenge. Ask yourself what are the consequences of both approaches. I terms of self leadership in conflict resolution, acting with vengeance leads to conflict escalation, and rarely will get you what you want, being, resolution to the situation. So next time you feel uncomfortable, hurt or angry about something, you hear someone gossiping at work, or you simply want to be a force of positive change for others in your life, be a LEADER.